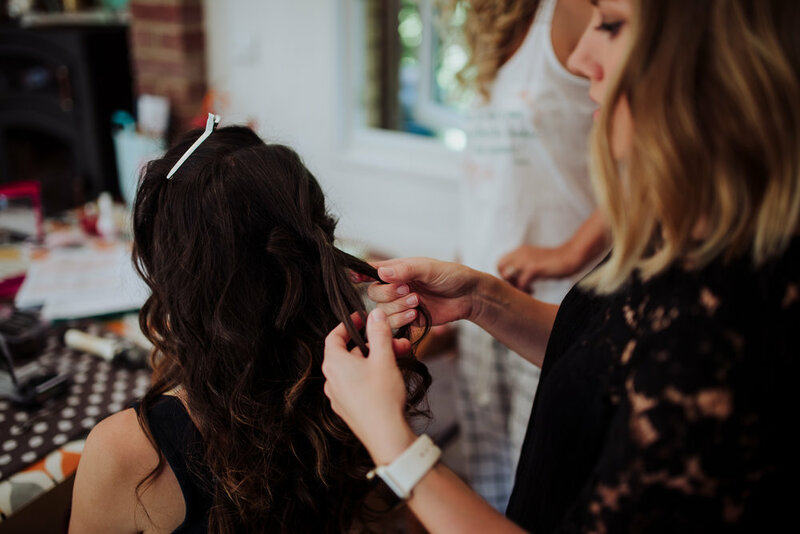 Feeling amazing on your wedding day is very important and Charlotte is here to help create the look you've always dreamed of! During your trial she will go through different looks and ideas personalising a look that will compliment your dress, flowers and theme. Charlotte will assist in making sure your magical day as relaxed, stress free and enjoyable whilst ensuring you look and feel fabulous! Please get in touch if you would like to find out Charlotte's Bridal price list or to book a trial for your wedding hair or makeup! Charlotte only uses the highest quality products for your special day, including Loreal, Bumble and Bumble, Kerastase, Bobbi Brown, Mac, Charlotte Tilbury, Illamasqua, Chanel, Dermalogica and Shu Umera. You are welcome to take a peek at Charlotte's Pinterest page where she's gathered loads of beautiful hair and makeup styles to inspire you! Please find the little Pinterest icon at the bottom of the page. Featured on Festival Brides. Click to read all about Sara and Tim's beautiful wedding.